Nicholas Felton, an information designer, creates yearly “Annual Reports,” summarizing data from his day-to-day life with witty and beautifully-designed graphics. I’ve been a fan for years. 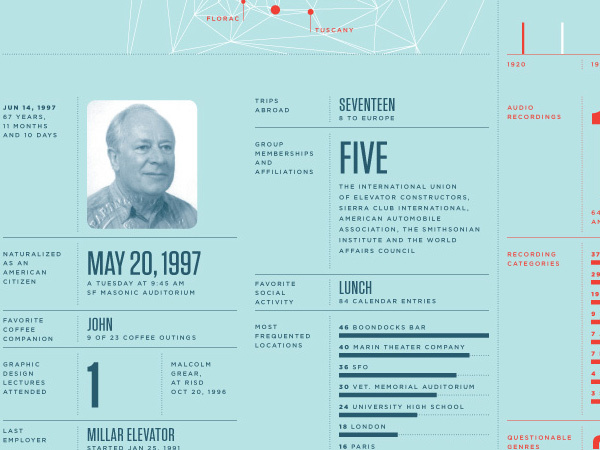 His 2010 Annual Report summarizes of the life of his father, who was born in July 1929 (two months before my father) and died last September at age 81.